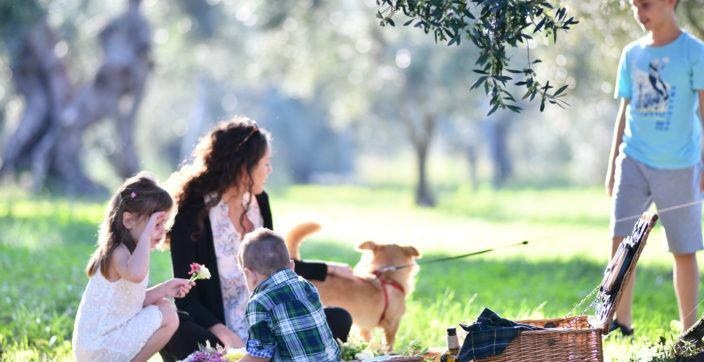 Captivating moments in the heart of historic Athens. The historic Hotel Grande Bretagne and the King George feature timeless architectural elements of high artistic quality. 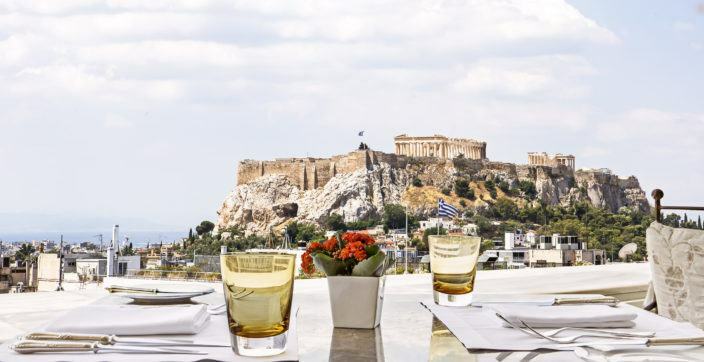 With breathtaking views of the famed Acropolis and the Parthenon, the historic Hotel Grande Bretagne and the fascinating boutique hotel King George enjoy an ideal location right in the center of Athens. The balcony corbels are in the form of winged lions, mythical creatures that appear in various forms in neoclassical buildings. The lions look either straight ahead or slightly sideways, appearing to guard the building perimeter. The niches on either side of the hotel entrance are part of the original three-story building that was initially constructed as the “Demetriou Megaron” residence. 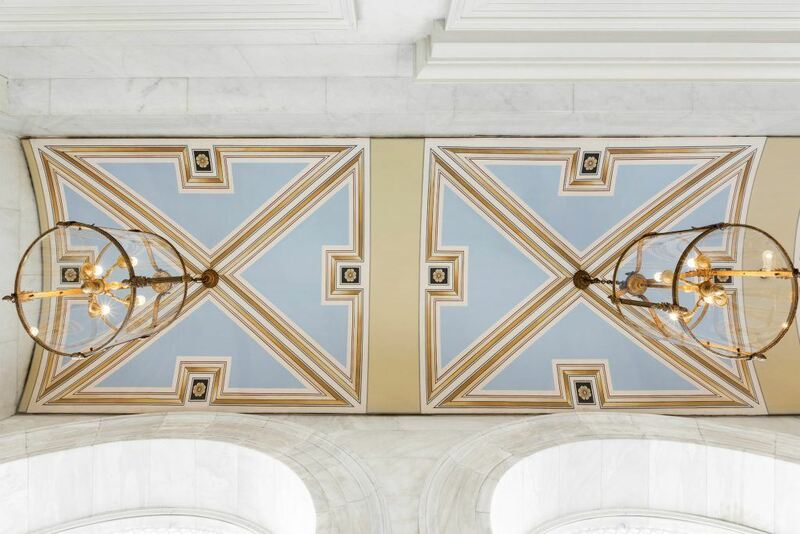 Although extensive alterations have taken place over the years, the ceiling design has survived and has been repainted in its original blue and gold colors. 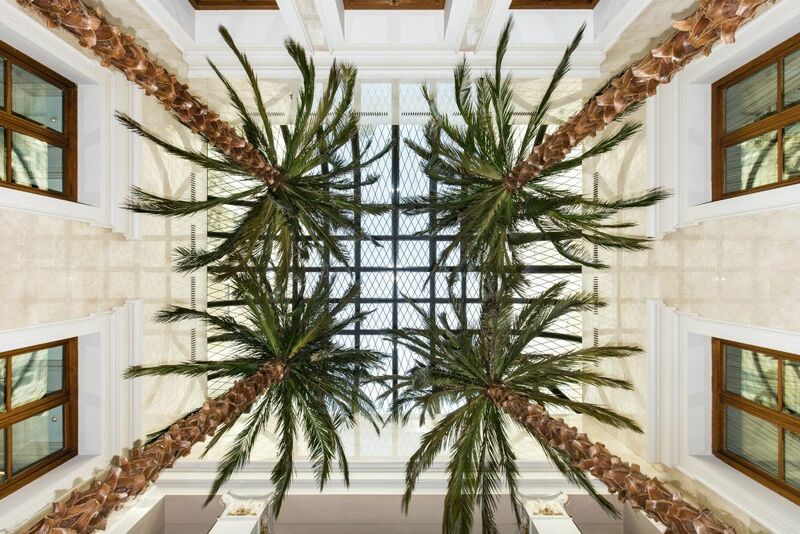 Architectural details crafted with the finest materials have graced these landmark hotels throughout their history. 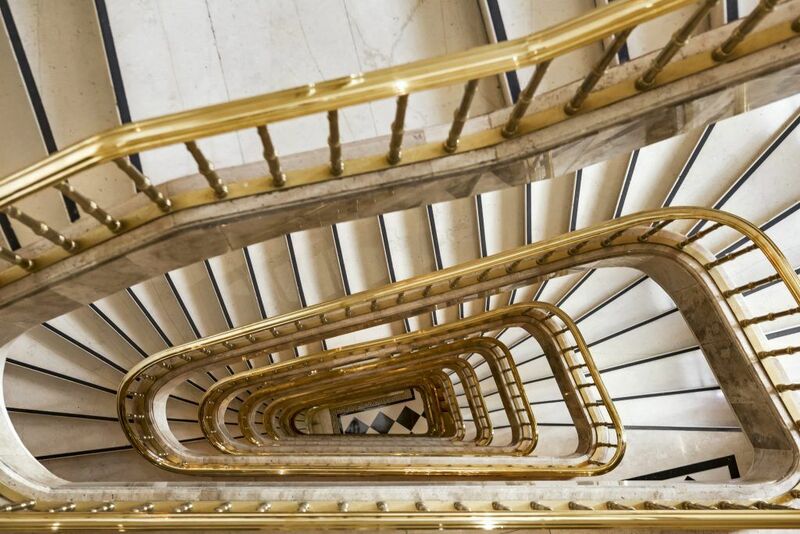 The main staircase balustrade is one of the very few architectural elements of the Hotel Grande Bretagne that are truly original. An alternative design proposed during renovation was dismissed in favor of maintaining the existing bronze-plated swirling balustrade, a work of remarkable craftsmanship. 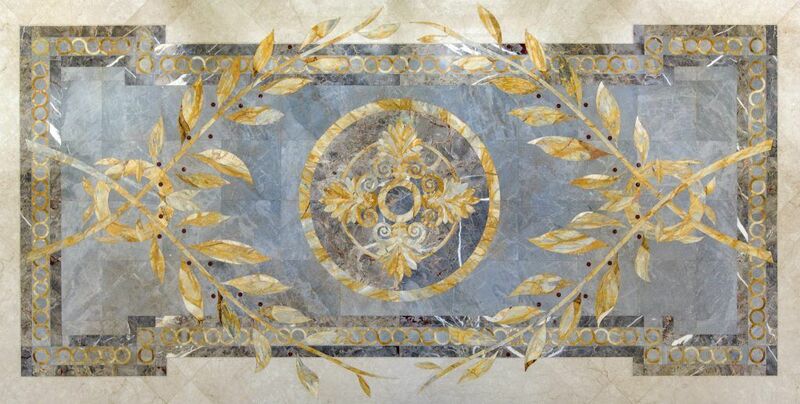 The King George Main Lobby features a marble floor finish which has been partly embellished with a complete design motif. 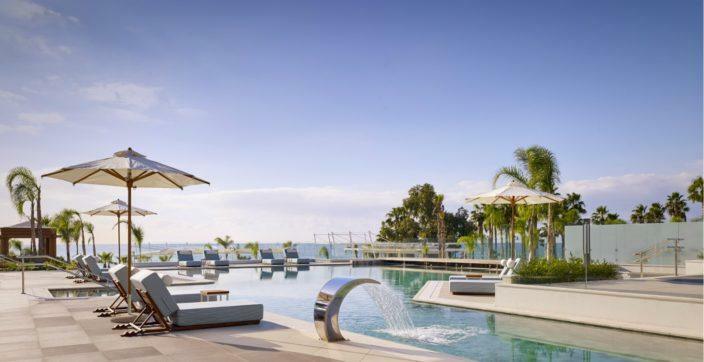 The finish on the marble elements and their installation are the result of a highly technical construction process intended to highlight the grandeur of the hotel to its fullest extent. The design composition makes prominent use of the Art Deco style, popular from 1925, through the interwar period and until the ‘40s. The King George was constructed during this period, in 1936. Its austere simplicity lies mainly in its geometric elements. 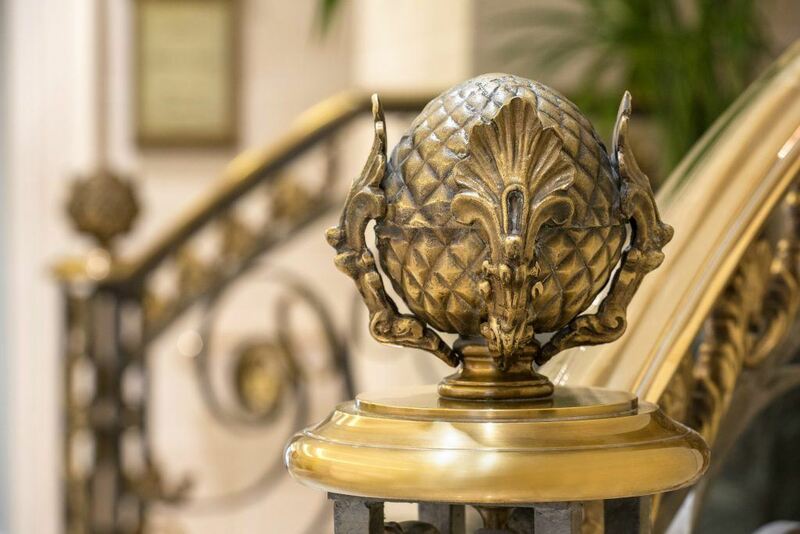 The King George balustrade handrail is embellished with ornate metal tips, fully styled in a pine cone shape and supported by four crossed human figures, ending in anthemion brackets. The central atrium canopy is a contemporary addition to the building. The original glazed roof was a much larger structure providing indirect daylight to the old dining area of the hotel. True to the hotel’s architectural style, the new canopy features similar late 19th century cast iron glazed structures and allows direct natural light to penetrate the building. 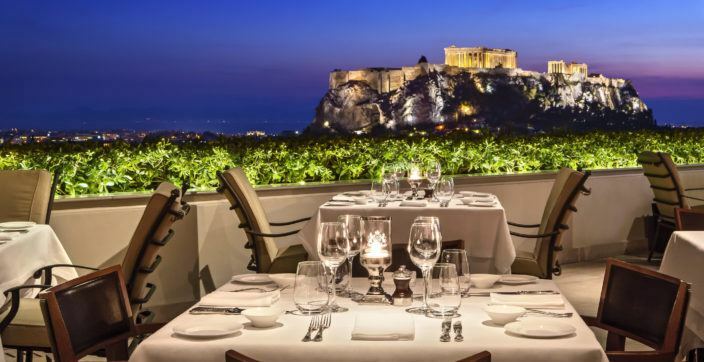 Both hotels represent the absolute essence of the Luxury Collection brand and being situated exactly next to each other, they have hosted a pantheon of celebrities and they offer unrivaled perspectives of the city’s mythical history.